What hymn celebrates lives of courage and generosity? 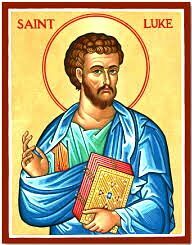 LUKE, the “Beloved Physician,” wrote two books of the Bible. The Gospel of Luke is sometimes referred to as the social justice gospel because of its emphasis on Jesus’ teachings against greed and bigotry, his embrace of the poor, outcast, and oppressed, his respect for women. Only in Luke do we get the parables of “Lazrus and the Rich Man” and of the “Good Samaritan,” about the hated foreigner who did the right thing when prominent members of society passed by. Here, too, is the Magnificat, Mary’s song of a world turned upside-down. Luke gave us a picture of Jesus as a rebel, working for the salvation, not only of individual souls but for the soul of our communities, teaching us that we are meant to love one another as God loves us. 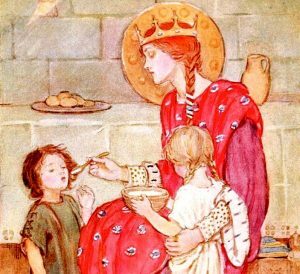 MARGARET, Queen of Scotland, (c. 1045-1093) devoted her life to prayer and action, feeding orphans, tending the poor, living simply. She advocated for enslaved prisoners and founded schools and hospitals. Margaret also sponsored the restoration of the monastery at Iona, known today as an ecumenical Christian community which works for peace and justice. 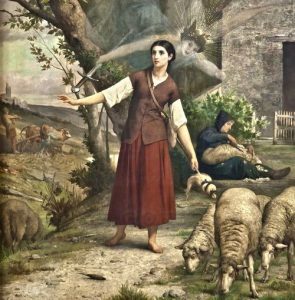 JOAN OF ARC (1412-1431), who lived during the Hundred Years War, was tending sheep on her parents’ farm when she began to see visions and hear voices. She claimed that they told her she’d been chosen to help free France from England’s rule. She believed it and traded in her rustic skirt for soldier’s armor. After a series of military victories, the teenager was captured and put on trial by British-leaning Inquisition clerics, charged with heresy and “cross-dressing.” She refused to renounce her beliefs or change her clothes, was found guilty and burned at the stake. During a posthumous retrial, her conviction was nullified. 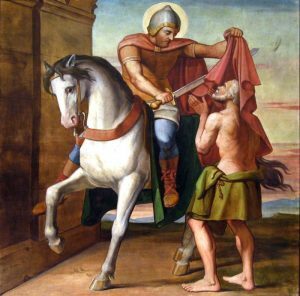 MARTIN OF TOURS (unknown-397) was born in what is now Hungary, grew up in Italy, and became the beloved bishop of Tours, France. Forced to serve as a solider in the Roman army, Martin was one of the first conscientious objectors. He refused to use his sword to kill, saying that war was incompatible with the Christian faith. The legend is told that, one cold day, he sliced his elegant cloak down the middle and gave half of it to a shivering beggar. Some say he saw the face of Christ when he looked at the poor man. In another legend, Martin’s cloak was made whole the next day, a gift from Jesus for transforming his sword into a tool for kindness instead of killing. 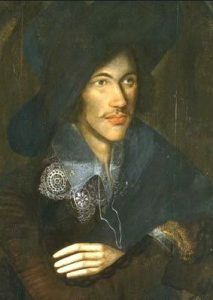 JOHN DONNE (1573-1631), after serving in Parliament, became an Anglican priest and was appointed Dean of St. Paul’s Cathedral in London. We remember him most, however, for his poetry. According to legend, IGNATIUS OF ANTIOCH (c. 35-107) may have been one of the little children whom Jesus gathered in his arms and blessed, although most scholars believe he was born just a few years after Jesus was crucified. We know for certain that he identified himself as a Christian long before it was acceptable. Instrumental in helping to develop early Christian theology, he wrote letters to new followers and traveled throughout Asia Minor and Greece preaching about Jesus. He was most likely arrested for denying the Roman gods and refusing to renounce his faith. 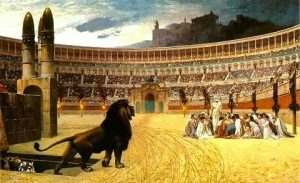 Elderly and frail, he embraced the opportunity to be a Christian martyr and was thrown to the lions for the entertainment of the Roman crowds at the Colosseum, a gruesome death. The subject matter of this hymn is anything but lightweight, although it is suited for children’s voices and the tune is decidedly buoyant. 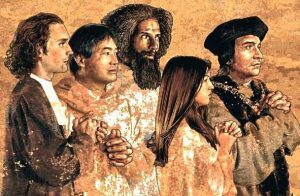 In the history of our faith, saints have been ordinary people, sometimes as deeply flawed as ourselves, who have done extraordinary things, often under duress. Have you seen any saints lately? Often sung on All Saints Day, this hymn reminds us that remarkably courageous and generous people can be found all around us — in school, on the street, at the store. You might even see one in the mirror. Keep your eyes open.